Late post for my gratitude diary but we trekked it to Staples Center today for the first Clipper home game of the season! … a Clipper win tonight for their first home game! 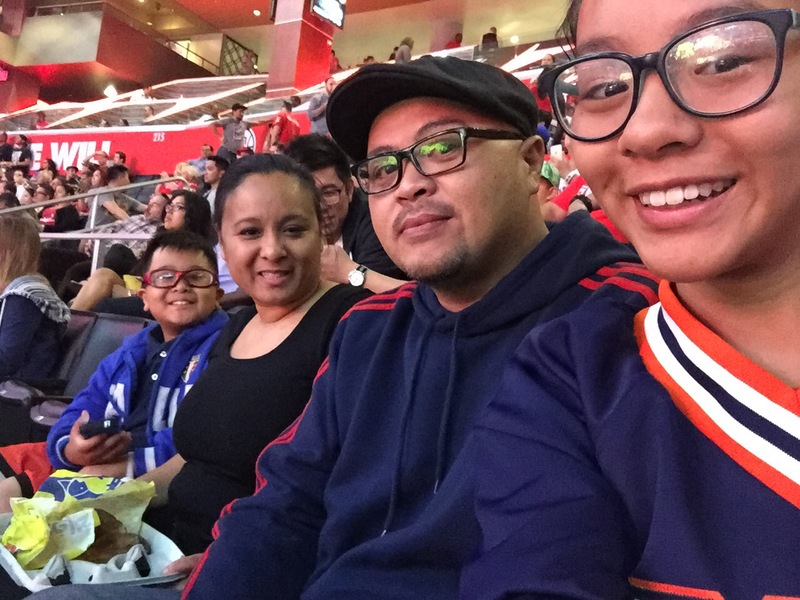 … Amtrak – the girl had a football game to cheer at today so the boy and I took Amtrak to Union Station in Downtown and then took Uber to Staples Center. Originally, the plan was to take a bus but we decided to Uber instead. This way the hubby waited to pick up the girl and then met us at Staples Center in time for the 2nd Quarter. … knowing what to get at Staples to eat: nachos from the Tostitos Nachos stand, pretzels from Weiner’s Pretzels, and the Bottomless Soda. Everything else is a waste of money. Of course, you can always get CPK or McD but who wants to wait in those lines?